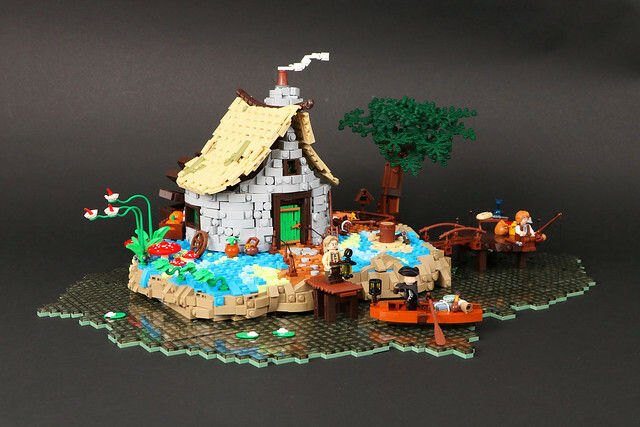 I have to share builder Cesbrick's sentiment on this lovely little location, I just want to be here. I'm not into fishing, or boating really for that matter, but this place draws me in. I want to see inside, I want to hear the birds chirping, I want to smell the fire burning, it just looks so appealing. Maybe perhaps if I can't live here I can just park my Airstream across the lake from it so I can admire it from a distance, if only for a little while.